An engagement party is the first celebration honoring a couple as they plan their nuptials, but without proper engagement party etiquette the affair can quickly become offensive. Disgruntled guests may have second thoughts about attending the wedding, and a poor party can dampen the spirit of romance and celebration leading to the couple's big day. Engagement parties are the first public recognition of a couple's engagement. While they are not required, they are an enjoyable way to honor the couple and introduce them to extended family. Here are a few essential things to ensure that your affair is top-notch. Traditionally, the bride's parents host the engagement party as a part of formally announcing the engagement. They are the first ones who offer to throw a party for their daughter. However, today it is also acceptable for friends, parents of the groom, family friends or extended family to host an engagement party. If the groom's parents live in a separate state, they may host a second engagement party in their city to announce the engagement to family and friends in that area. The couple does not ask someone to give them an engagement party. It should be offered by parents or friends. It is not the responsibility of a bridesmaid, matron of honor, groomsman or best man to host an engagement party. They host the bridal shower and bachelor parties. Generally, the engaged couple does not host their own engagement party. The only exception is if the couple plans a surprise engagement announcement. In this case, the guests don't even realize they are at an engagement party until the announcement. Be sure to only invite people who will also be invited to the wedding. If there is a close relative who dislikes the fiancé, invite the person to the party as a way to extend an olive branch on the condition that she comes without judgment. The host can send out formal invitations to guests or notify people by telephone, email or an informal invite. The father of the bride usually officially proposes a toast at the engagement party. This is especially true if the bride's parents are the hosts. The groom-to-be follows his future father-in-law and gives a toast in honor of the bride and her family. Other people can then follow with toasts to the couple and parents, if desired. Engagement gifts are not customarily given at engagement parties. Despite the fact that gifts are not expected, some people may still bring one. If someone brings a gift, the couple should thank the person and let them know that they will open the gift after the party. This will prevent others who didn't bring gifts from experiencing embarrassment. The party can be either a surprise or a more formally planned affair. An engagement party is not required to celebrate the couple's relationship. 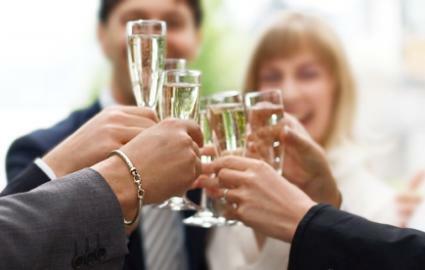 The party should, in general, match the formality and tone of the upcoming wedding. Gifts are not required for the party and no mention should be made of gifts or bridal registries in invitations. The party should revolve around both the bride- and groom-to-be equally. An engagement party should be held soon after the official announcement and at least several months prior to the wedding. 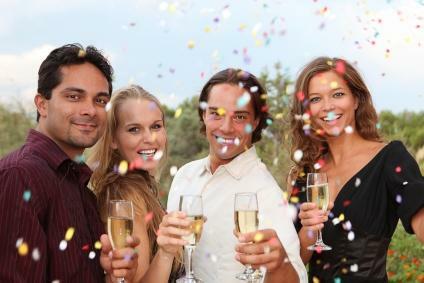 An engagement party is not required and should not be expected or demanded. Do not register for engagement party gifts, though some guests may ask for suggestions. It may be helpful to have ideas about wedding dates, times, venues, and other details, but take care not to commit to suggestions you don't feel comfortable with. Be prepared to show off your engagement ring by having it professionally cleaned, and be sure to have clean, well-groomed hands as well. Do not use the party as an opportunity to ask to be in the wedding or make other planning suggestions. Refrain from making non-related announcements at the party - announcing another engagement, for example. Take the opportunity to meet both members of the happy couple if you are not acquainted with them already. Keep negative judgments about the couple's relationship and upcoming wedding private rather than airing them at the event. 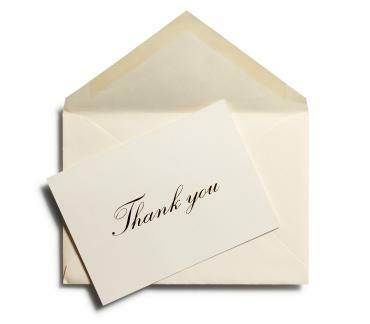 Send thank-you notes to attendees, even if no gifts were exchanged, and be sure to thank the party's hosts. Follow up on planning suggestions you are interested in, and graciously reject those you will not accept. Continue to include other people in your planning to cultivate strong relationships with new family members and friends. Do not feel obligated to invite someone to the wedding even if they attended the engagement party, but be prepared to offer an explanation if prompted (budgeting, change in relationship status with that person, etc.). Engagement party etiquette can be tricky, but by observing social courtesy a newly engaged couple can celebrate their engagement surrounded by family members and friends. Those individuals will form the basis of the couple's support network through the trials of wedding planning and the crucial first months of a new marriage. Beginning a new phase of their relationship surrounded by well-wishers can be one of the couple's most cherished memories, and those friendships will last for many anniversaries to come.